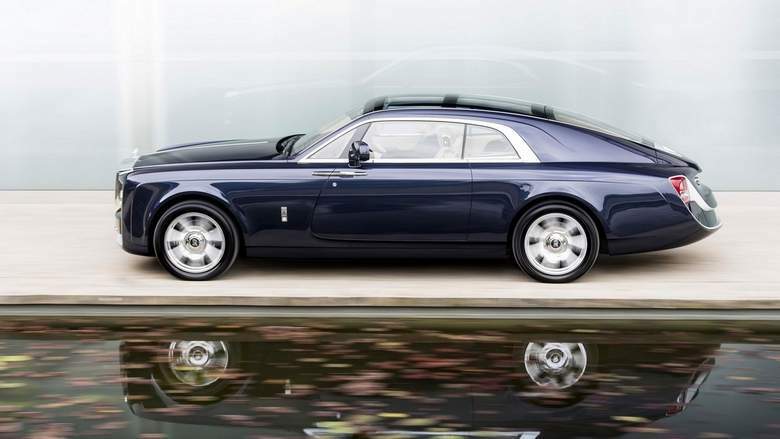 Rolls-Royce has unveiled a new bespoke motor car that builds on its coachbuilding heritage, and reinforces its position in luxury car market. Commissioned by an anonymous Rolls-Royce connoisseur, the one-off motor car features the swept-tail design of certain Rolls-Royces from the 1920s, and has been named the 'Sweptail'. The two-seater coupé features a panoramic glass roof, and was unveiled to the media at the Concorso d'Eleganza at Villa d'Este on Saturday. Torsten Muller-Otvos, CEO of Rolls-Royce Motor Cars, described the Sweptail as a magnificent car. "The arrival of 103EX shone a light on the future of Rolls-Royce in this field, and Sweptail is proof, today, that Rolls-Royce is at the pinnacle of coachbuilding," he said. The arrival of the Sweptail is significant not only because of its iconic design, but also because of the interest that is being generated among car enthusiasts and collectors around the world on exclusive commissioned vehicles. "We are listening carefully to our most special customers and assessing their interest in investing in similar, completely exclusive coachbuilt masterpieces," the CEO noted. "At the same time, we are looking into the resources which will allow us to offer this unique service to these discerning patrons of luxury." As a connoisseur of Rolls-Royces, the patron was inspired by many of his favourite cars from the marque's golden era of the early 20th century, as well as many classic and modern yachts. This is evident when looking at the rear of the vehicle with its raked stern that pays homage to the world of racing yachts that inspired the client. The highlight feature of the Sweptail, however, is its uninterrupted glass roof, one of the largest and most complex ever seen on a motor car of any marque, allows the cabin to be flooded with natural light, animating a host of beautifully handcrafted materials and componentry.